Ryan Jones Re-upped yesterday at (speculatively) 1.5M over 2 years. I think the general consensus is that it's a decent signing with a vocal minority expressing a smidge of concern over the amount. I would say, based on comparables, that it's probably an overpay of about 2-300K. That said, it's not the end of the world considering the Oilers have a bit of work to get to the *cap floor*. My only real problem with the overpay, in all honesty, is that we continue to see our GM show a basic lack of aplomb at the negotiating table. I'll give you one easy comparable that Tambo could have used to strengthen his case: David Moss. 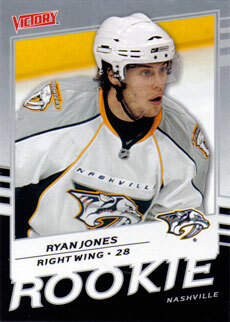 I found him by examining Ryan Jones and realizing he was actually in a very interesting group. There were only 4 players in the NHL last year who scored greater than one goal per 60 minutes of play, and received less then 11 minutes of icetime and played at least 40 games. The list is here if you are interested, but I will repeat some of the more interesting statistics below.